At Grandview Corners Dental, your Surrey dentist, we believe the best things in life start with a smile. Our practice is an upscale, elegant and family-friendly dental solutions centre that brings together world class expertise, the latest technology and equipment, and an unwavering focus on improving, enhancing and inspiring the life of our patients: one smile at a time. We believe in developing the growth of our shared Grandview Corners lifestyle community, and ensuring that the patients we serve - whether through our general, restorative or cosmetic dentistry solutions - know and feel that their desires, comfort, safety, happiness and success are our top priorities before, during and after every visit. Are You New To Grandview Corners Dental? Fill out our new patient form online before your appointment for a faster experience! 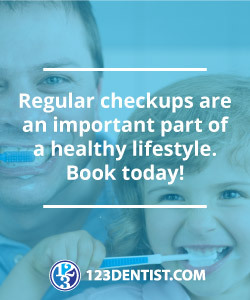 We offer a wide range of functional and cosmetic dental solutions to meet the various needs and wants of our sophisticated, success-focused patients. And to achieve this objective, we pledge the following promises which we will hold ourselves accountable to, regardless of whether our patients even notice that we are delivering on all of our commitments..